Here's how to fix the Home button delay on your iPhone! The Home button on your iPhone has multiple purposes — unlocking your iPhone, bringing up the multitasking menu, returning to the home screen, invoking Siri, etc. Such frequent use can take a toll on the Home button’s responsiveness. Although it is designed to last, it can become laggy or less responsive over time. Surprisingly enough, a large number of Home button issues have more to do with the software rather than the actual hardware. If you notice that your iPhone’s Home button isn’t as responsive as it used to be, here are a few tips you can use to fix the Home button lag. Mapping the Home button to Accessibility Shortcuts is handy, but it slows down the Home button’s responsiveness. It’s no secret that the iPhone made accessibility features accessible to everyone. You can also triple-click the Home button to access these accessibility features. This lets you activate any accesibility shortcut quickly without requiring to hop into Settings every time. While it saves some time, it can make the Home button click feel a bit laggy. Since you’ve assigned a triple-click to the Home button, the iPhone waits for a while after making the first click to detect whether you’re going to make another. This introduces a substantial delay while clicking the Home button. With this setting turned off, your iPhone doesn’t need to wait to detect an additional click. To disable this, open Settings on your iPhone and go to General > Accessibility > Accessibility Shortcut and uncheck everything. You can still access the accessibility options as usual by going to General > Accessibility on your iPhone. The home button click speed is set to the fastest by default. You can adjust the speed required to double or triple-click the Home button. By default, it’s set to the fastest speed. But it’s possible that someone might have changed this setting inadvertently. To check this, open Settings on your iPhone and navigate to General > Accessibility > Home button. Here, verify that the click speed is set to Default. iOS packs in a neat trick you can use to recalibrate your iDevice’s Home button. It’s quite an old trick, and we’ve even covered it in the past. It remains unclear why or how it really works, but a lot of users seem to have benefitted from it. I guess that doing so clears up the memory, killing the apps that hog CPU time when being asked to shut down. Launch Weather, Stocks, or any other app that comes pre-installed on your iPhone. Press and hold the power button until the “Slide to power off” slider appears. Now, press and hold the Home button for about 8 seconds until the “Slide to power off” slider disappears. This should kill the current app and restart it. The Home button should now be recalibrated and should feel a lot more responsive. Sometimes, a fix could be as simple as rebooting your iPhone. This may seem like a no-brainer, but it can help you fix Home button lag at times. To reboot your iPhone, hold the power button until you see the “Slide to power off.” Sliding it will shut down your iPhone. Hold the power button again to power up your device. iOS makes it really easy to reset all the settings to default with a single-tap. If you suspect that a change in iPhone’s settings might have caused the Home button lag, but you’re unable to locate that setting later, iOS can restore settings to default with a single tap. To reset all your settings, open Settings on your iPhone and navigate to General > Reset and tap Reset All Settings. This resets all the settings to default but doesn’t delete any data or media on your device. If a faulty setting had caused the Home button lag, this method should fix things up quickly. 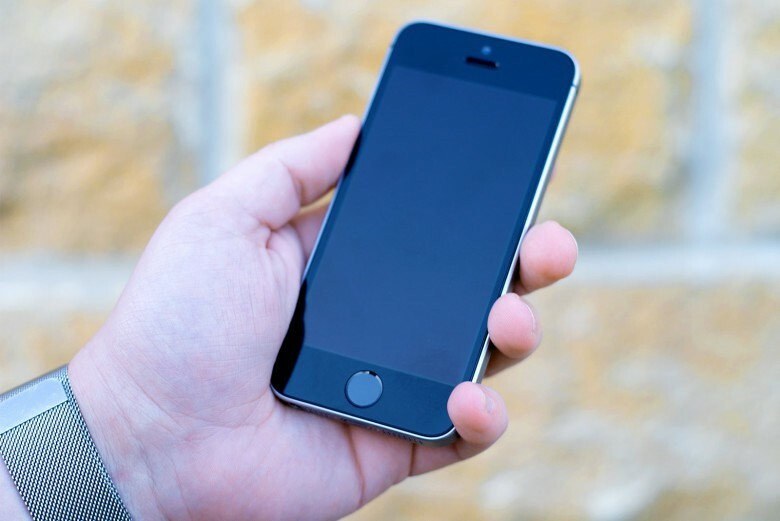 If everything above fails, you might want to factory reset your iPhone. To do so, go to Settings > General > Reset > Erase All Content and Settings. Please note that factory resetting your iPhone will delete everything, so make sure to backup your data before proceeding. Hopefully, these tips should help fix the Home button lag you’re experiencing on your iPhone. If nothing above seems to help, there’s a high possibility that it might be a hardware issue. In that case, you should send your iPhone for a repair.